I came across the “BBC Music Showcase” website today, which is an archive for BBC recordings. It lists which recordings are available to listen to currently, e.g. here’s a list of their current rock & indie selection. 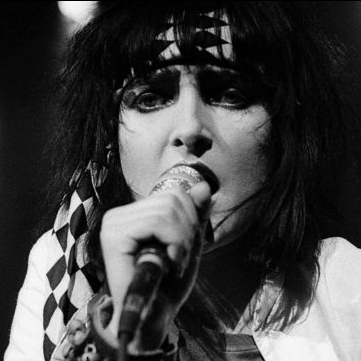 The link I found was a Siouxsie and the Banshees John Peel session for the BBC, broadcast 10th February 1981 – and it’s a cracker. The tracks are from the Juju period (Juju was released in June 1981), but the third track is a Creatures track taken from their first (double 7 inch single EP) release “Wild Things” although it seems that the Banshees used to play this track out as well. He played guitar on the Banshees albums Kaleidoscope (1980), Juju (1981), and A Kiss in the Dreamhouse (1982). The Banshees’ hit singles of this era featured some of McGeoch’s greatest work, particularly 1980’s “Happy House”, “Christine” and “Israel”.